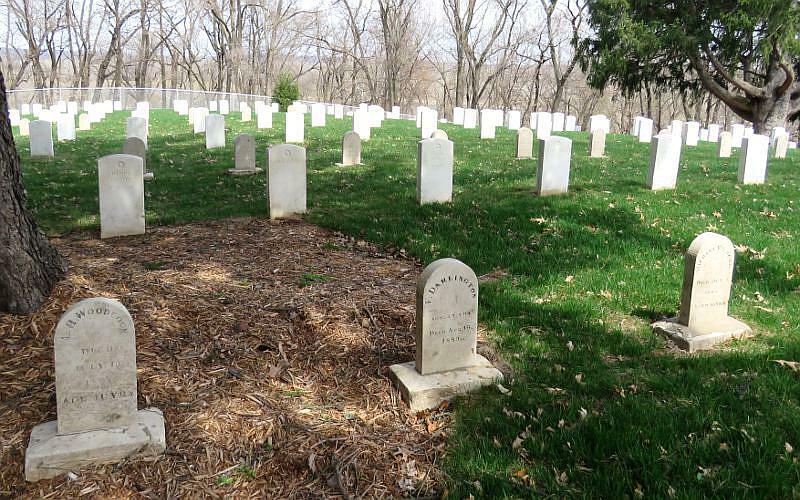 The United States Disciplinary Barracks Cemetery at Fort Leavenworth, Kansas was established in 1884 and the first recorded burial was March 10, 1884. 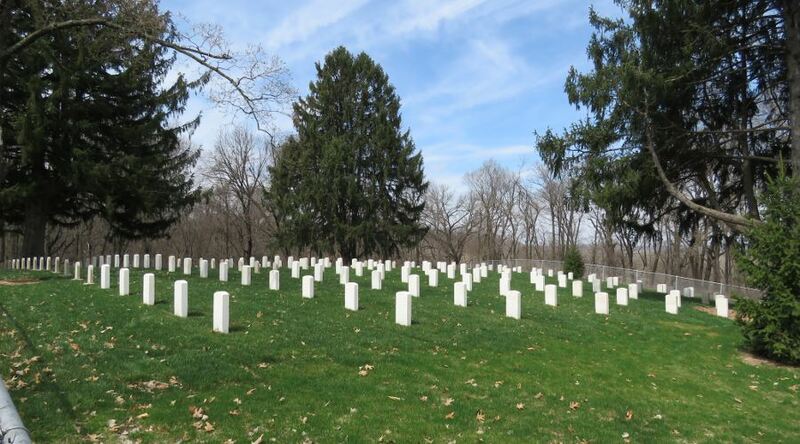 The Military Prison Cemetery provides the final resting place for the unclaimed remains of prisoners who died or were executed while incarcerated at the United States Disciplinary Barracks (USDB). Unlike the nearby National Cemeteries, no family members of the deceased are interned here. 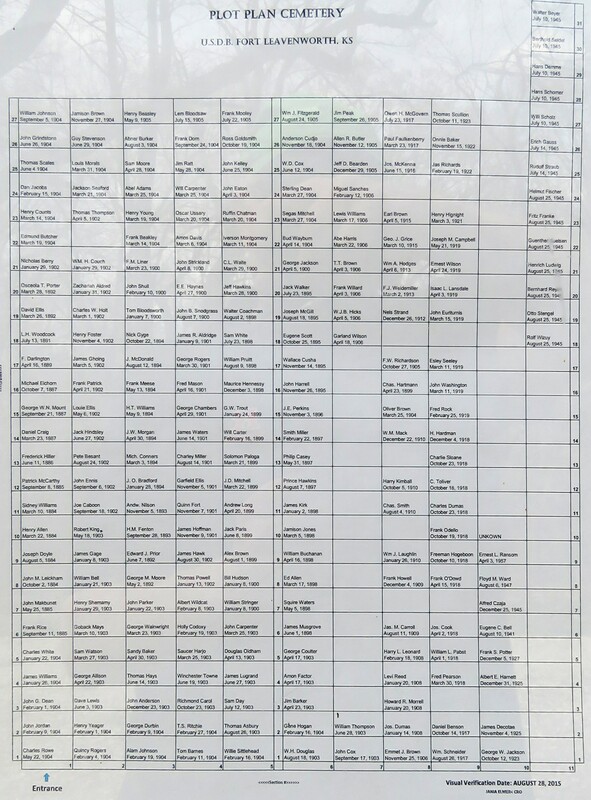 There are 240 burials in the cemetery. Some sources say there are an additional 58 unmarked graves, but there is no evidence of such. 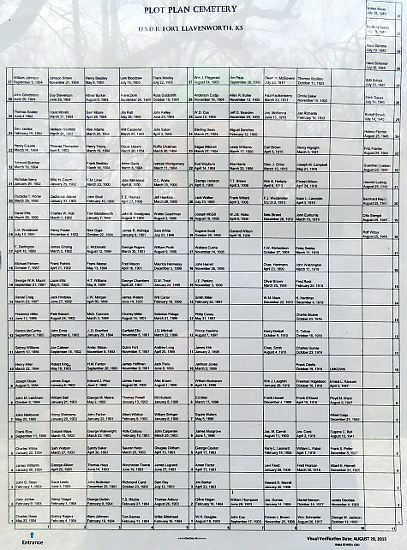 The most recent internment was April 4, 1957, though officially the cemetery is still available for new burials. 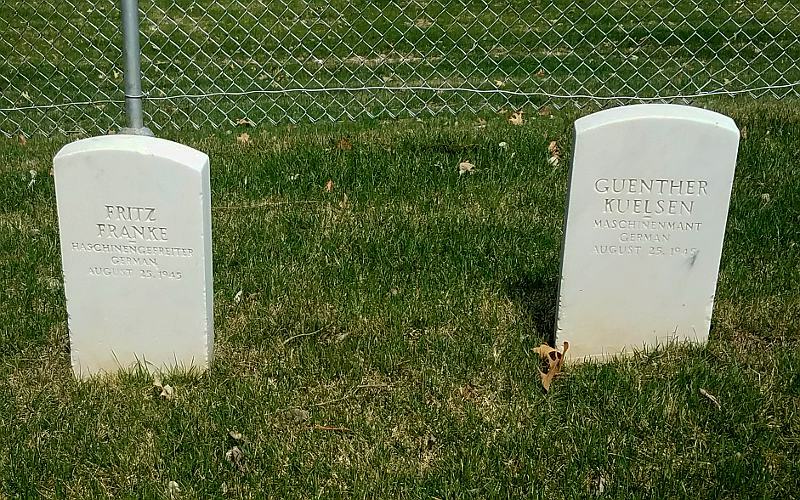 The cemetery is maintained by the Fort Leavenworth Directorate of Public Works and the goal is to treat these graves with a high level of respect. The head stones were were cleaner than the ones we saw later in the day at Fort Leavenworth National Cemetery. Flowers are occasionally left at the USDB cemetery, though none were present when these photographs were taken. The United States Disciplinary Barracks is the only maximum security correctional facility maintained by the Department of Defense. The prison was established a little over a mile south east of the cemetery in 1875 and has been operated continuously until today, though it was moved to a more isolated, modern facility about a mile northwest of the cemetery in 2002. 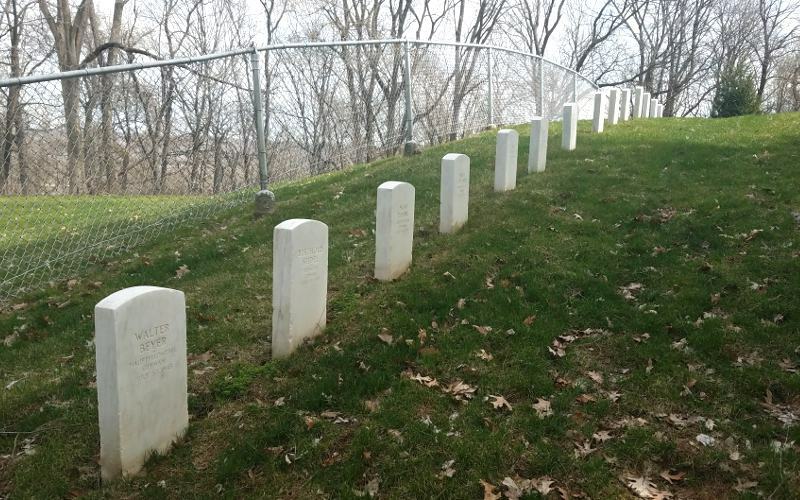 The half acre cemetery inters civilian inmates, U.S. military inmates, and foreign enemy POWs. For the most part these were members of the United States Armed Forces who committed crimes requiring long term incarceration while in the service. 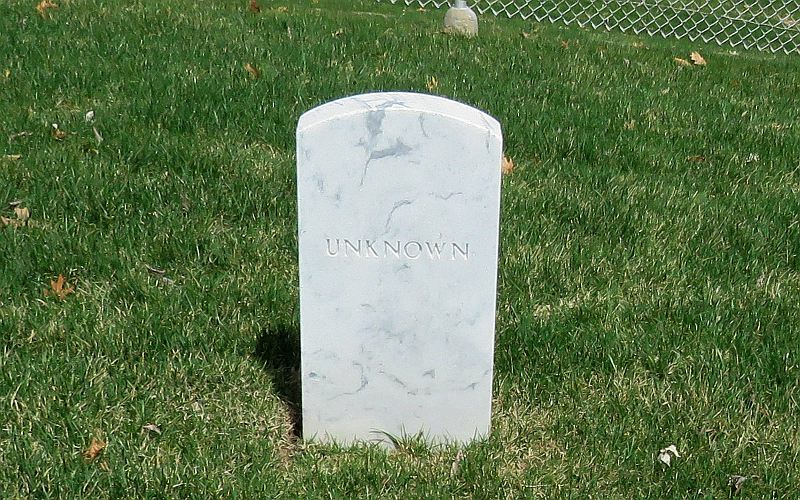 One of the graves in marked as "Unknown," which suggests that might be an interesting story. 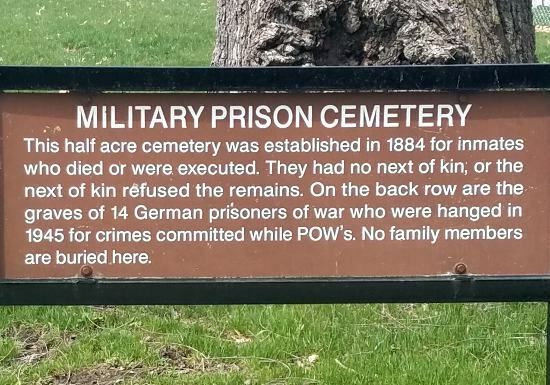 The most interesting story, that we know, is that of the 14 German prisoners of war who are buried in a separate row at the rear of the cemetery. The POWs had killed fellow prisoners of war during World War II, to stop their victims from collaborating with the US government. Following trial, the POWs had been moved to Fort Leavenworth USDB for confinement. They were not executed at the time, for fear of reprisals against American POWS held by the Germans. With the surrender of Germany in May 1945, and the release of those American POWs who had been sentenced for capital crimes in Germany, that was no longer a concern. The executions of the German POWs at Fort Leavenworth were carried out in three groups: Five on July 10, two on July 14 and seven on August 25, all in 1945. The first mass execution at USDB was 5 prisoners from Camp Gruber in Tankowa, Oklahoma who had killed Johannes Kunze on November 4, 1943. He had been a Gefreiter (equivalent to private first class) in the Afrika Korps. The second execution was 2 prisoners from Camp Aiken, South Carolina who had killed Horst Gunther on April 5th, 1944. The third mass execution was the last mass execution in the United States and the largest one in the 20th Century. It involved 7 prisoners from Pagago Park POW Camp in Phoenix, Arizona, who murdered Walter Drechsler on March 12, 1944. He was a German U-Boat POW. For decades after the war, the rift between West Germany and East Germany kept the subject of returning the remains to their homeland from being brought up. The families of the POWs have not tried to claim the bodies. Visitors to Fort Leavenworth who do not have a Department of Defense issued ID card must stop by the Visitor Control Center which is open Monday to Friday from 7AM - 4PM and Saturday 8AM - 4PM. where reception clerks will verify that the vehicle driver has a valid license, registration and proof of insurance and that all passengers sufficient ID. Following a routine background check, visitors will receive a Temporary Pass and instructions allowing them to enter the installation. 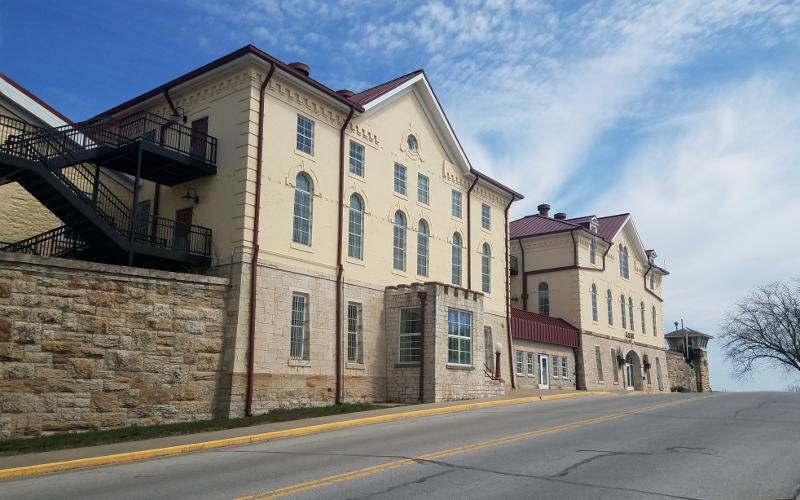 This may sound like a obstacle, but Fort Leavenworth does encourage visitors to this historic post. You are welcome here! The Fort Leavenworth Visitor Control Center is closed on Sundays and all Federal Holidays. Driver's licenses from the following states and territories are not sufficient on their own: Alaska, American Samoa, California, Kentucky, Maine, Missouri, Montana, Oklahoma, Oregon, Pennsylvania and Rhode Island. Residents of those states or territories must provide such documents as passport, voter's registration card, social security card, birth certificate, etc. Call (913) 684-3600 with questions in advance. Non US residents may not be permitted on the fort and should call (913) 684-3600 in advance. Last updated April 6, 2019. 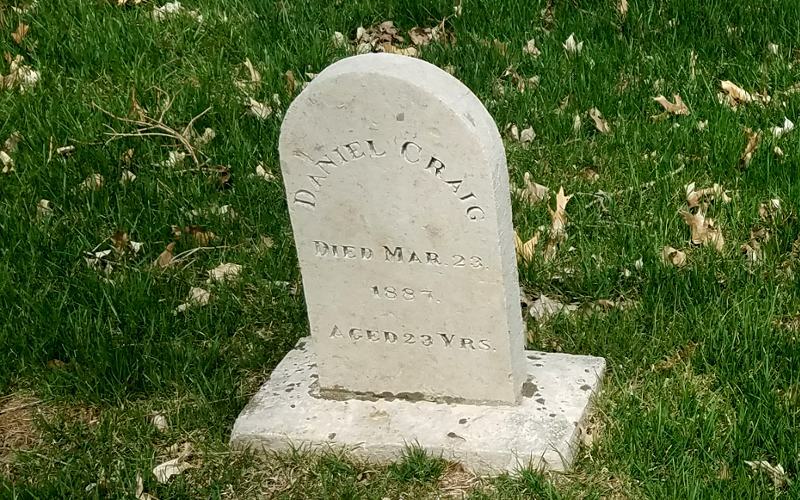 Dies Mar 23, 1887 Aged 23 Yrs. Gunther Kulsen, Maschinenmant died August 25, 1945.